Staying strong isn't easy. So for those days when you're feeling soft, we have some sick styles that are fleeced to meet you. The Major Stripes Hoodie combines the best of modern street wear style with the dependable comfort of surf wear. And because it's stamped with Quiksilver's seal of approval, you can expect primo quality construction that won't shrink or fade. Melvin I. Reviewed by Melvin I. Ordered two hoodies and was pleased with Proozy's tracking and shipping. The Quiksilver hoodies are a nice mid-weight, perfect for those cool spring mornings. They feature kangaroo pockets, cuffed wrist and bottom, and full-zip. I like this hoody. I didn't realize that the light stripes are kind of a green color, but that's OK. It's a nice thickness, feels well constructed, etc. Not a fan of the white interior which shows when it's partially unzipped, but other than that, very happy with the purchase for the price! I love the color of this hoodie! However it runs small! Specially for men’s. 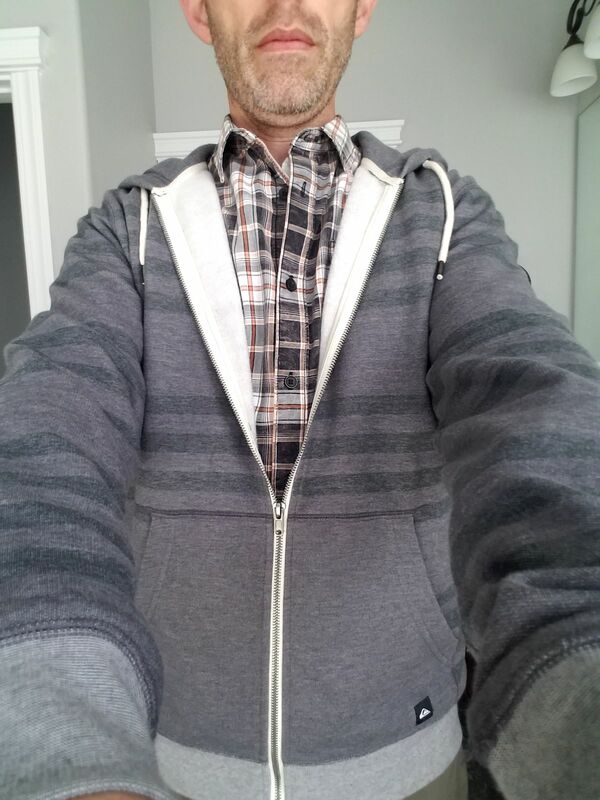 Gregory D. Reviewed by Gregory D.
Nice sweatshirt for the price. Heavier and warmer than I thought it would be. It's a tighter fit than I expected. Nice fabric and perfect fit.